A Catholic education is affordable and attainable! Apply Now for 2017-2018 Financial Aid. Who is eligible? Students entering Kindergarten through 8th grade*. What is the application deadline? You may apply for financial assistance at any time, however we encourage all families to complete the application by December 31st (for the following school year) to ensure the best possible results. How do I apply? Applying is easy! Simply log on to FACTS to complete the online application. All final decisions regarding financial aid are made by St. John Paul II Regional School. 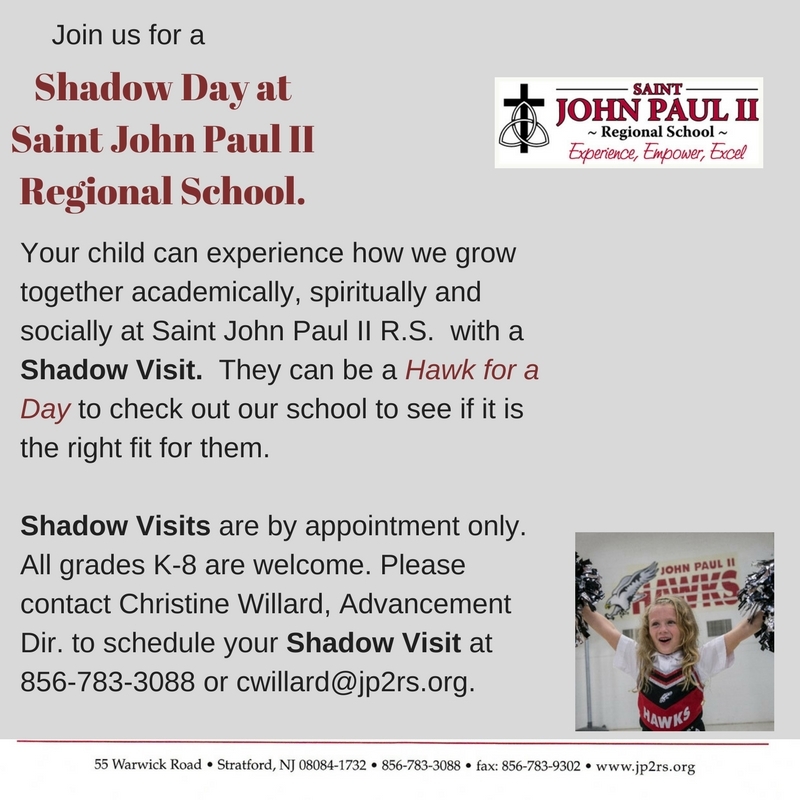 Please contact Helen Persing, Principal at (856) 783-3088 or principal@jp2rs.org with any questions. *Financial assistance is not guaranteed and is based on need.